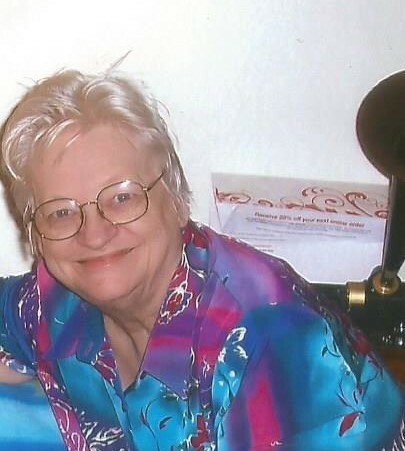 Beverly Yeager Hart, 76, passed away on December 19, 2018. She was born on June 11, 1942 to Loren and Pauline Yeager in Cynthiana. Beverly enjoyed embroidering, reading, shopping, and watching Hallmark. Her favorite treat was peanut butter m&ms. The one thing she loved the most was taking care of her husband, Frankie, and her family. Beverly is survived by her husband Frankie; her daughters Tammy Hart (Tami Smith), Angela Hart (Nelson Cardoso); daughter-in-law Wanda Hart; grandchildren Travis (Robin) Crowe, Andy Hart, Chelsie Smith, Waylon Smith, Parker Smith, and Kalynn Smith-Hart; her great-grandchildren Levi, Johnny, Chloe, and Audrey; her siblings Bobbi Yeager, Janet Bretz, and Sharon Yeager; and several nieces and nephews. Beverly was preceded in death by her son Frankie Hart JR., her parents, and her sister Gayle Yeager. Visitation will be Friday, December 21st from 12p.m. to service time at 2p.m. at Sunset Funeral Home.